If you suffer from sleep apnea or you have been told that you may have sleep apnea, it is important to speak with a qualified dentist. Sleep apnea is a serious condition that can affect your health, especially when it is not treated. The most common form of sleep apnea is obstructive sleep apnea and it occurs when your main airway becomes closed or blocked during your sleep cycle. When this happens, you cannot breathe correctly and may experience one or multiple pauses in breathing. Typically, patients do not know that they have sleep apnea, which makes the condition much more dangerous. If you think you may have this condition or you have been diagnosed with it before, now is the time for you to call Wu Dental. Dr. John Wu is ready to work with you to learn more about your sleep apnea or the symptoms that you experience while you sleep or when you first wake up. We offer you customized solutions to provide you with the treatment you need. One of our most common treatment options includes an oral appliance, which is placed into your mouth and worn similar to an orthodontic retainer. This appliance is used to keep your jaw in the proper position while you sleep to ensure that your airway remains open. In addition to our oral devices, Dr. Wu and his associates will discuss other, more advanced, treatment options with you, should you be in need of them. 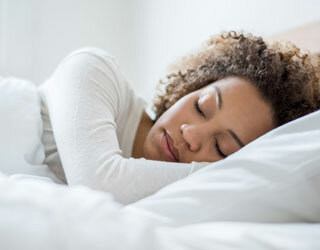 If you would like to schedule a sleep apnea consultation, call us at (650) 571-6666 for our San Mateo office or at (650) 718-5086 for our Mountain View office.